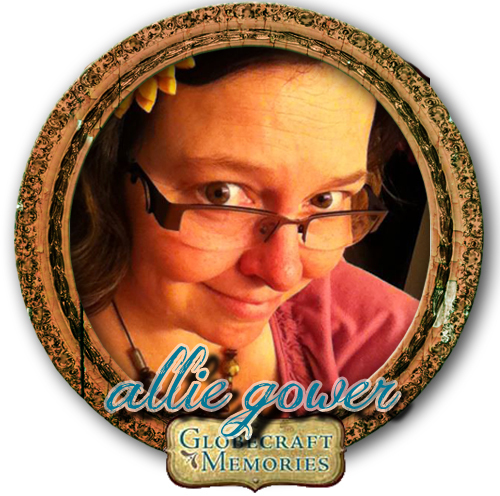 We're thrilled to welcome jeweler and all-around fab crafter Allie Gower to the Globecraft Memories team! 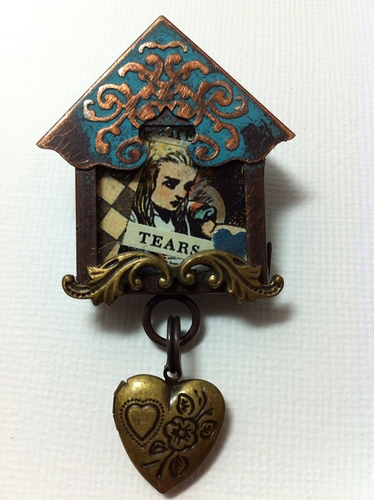 Allie is a paper crafter, mixed media artist, jewelry designer. For Allie, creativity has always been a part of life. She loves to design projects for manufacturers, do make and takes and classes for scrapbookers and bead enthusiasts. She is a fledling foodie, and often has something baking or bubbling over while she's crafting. Allie has been featured in craft magazines like Just Steampunk and Bead Trends and recently contributed to a book for Beadalon. 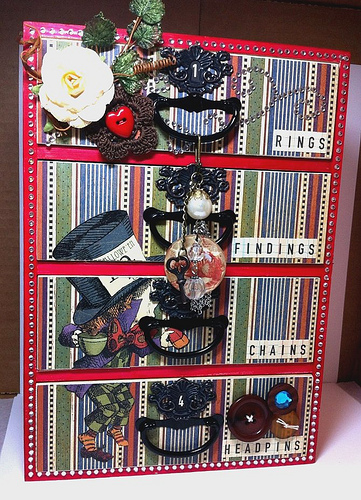 Allie is pleased to design for Buttons Galore, Globecraft Memories, Momenta, Stampavie, and Want2Scrap and was recently made a Designer Member of the Craft and Hobby Association (CHA). When Allie isn't creating or baking, she's blogging for Charity Wings, and writing Arts and Crafts articles for the Minneapolis Examiner, or making samples for Dollar Scrapbooking and Technique Junkies. I'm "mad" about Alice, and I love remaking items to store all my crafty treasures - these projects show my love for all things"Alice". Everybody is creative. Not everybody realizes this. Creativity is about setting aside a fear of imperfection, and embracing inspiration, really allowing something that excites your senses, and letting it overcome you. Once you're okay with any outcome relating to your art, good or bad, you can really enjoy the process. I enjoy creating, experimenting, and sharing what I've learned. I like re-decorating storage pieces and altering things like boxes, journals, frames, etc. and making invitations and custom pieces for parties and other fun, themed events. I look forward to working with Globecraft Memories and the team with this amazing opportunity! View more of Allie's artwork on her blog: http://welltrainedpaper.blogspot.com We are excited to see what Allie creates with us in the coming year!! Congrats Allie, love your projects on the blog!! Wooo Hooo Congrats to both of you! Globe Craft you got yourself one of the best and sweetest. Allie your going to have so much fun! Allie is amazing! She will be a valuable addition to your team!